At The Crown at Whitchurch, enjoy a satisfying meal at the restaurant. Wrap up your day with a drink at the bar/lounge. With a stay at The Old Court House in Ross-on-Wye, you'll be within a 5-minute walk of Wye Valley and Wilton Castle. 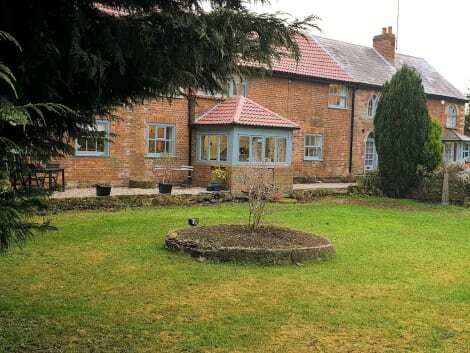 This bed & breakfast is 8.8 mi (14.1 km) from Forest of Dean and 4.8 mi (7.7 km) from Goodrich Castle. At The Hope and Anchor Inn, enjoy a satisfying meal at the restaurant. Wrap up your day with a drink at the bar/lounge. English breakfasts are available daily for a fee. Make yourself at home in one of the 3 guestrooms. Complimentary wireless Internet access is available to keep you connected. Bathrooms have bathtubs or showers and hair dryers. Conveniences include coffee/tea makers, and cribs/infant beds can be requested. Enjoy a range of recreational amenities, including an attached winery, a fitness center, and a seasonal outdoor pool. Additional features at this hotel include complimentary wireless Internet access, an arcade/game room, and wedding services. Make yourself at home in one of the 3 air-conditioned guestrooms. Complimentary wireless Internet access keeps you connected, and digital programming is available for your entertainment. Bathrooms have showers and hair dryers. Conveniences include coffee/tea makers, and irons/ironing boards can be requested. Take in the views from a garden and make use of amenities such as complimentary wireless Internet access and a fireplace in the lobby. Additional features at this country house include tour/ticket assistance, a picnic area, and barbecue grills. lastminute.com has a fantastic range of hotels in Ross on Wye, with everything from cheap hotels to luxurious five star accommodation available. We like to live up to our last minute name so remember you can book any one of our excellent Ross on Wye hotels up until midnight and stay the same night.